Daily efforts to achieve perfectly styled hair can actually undermine the health of your hair. 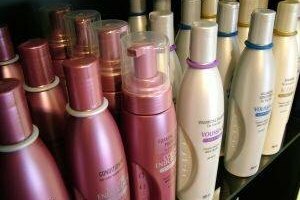 Heat, combing and styling products can result in hair that is dry and waxy and contribute to split ends. If daily styling is negatively affecting your hair, consider a cornrow hairstyle. 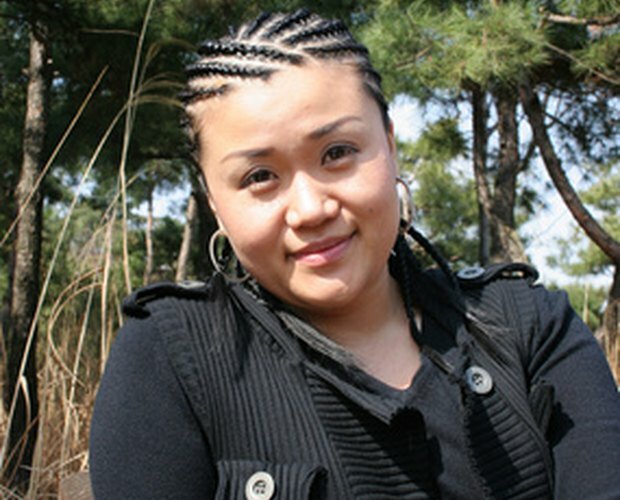 Cornrows are a protective hairstyle that require little manipulation and allow your hair a break from constant styling. 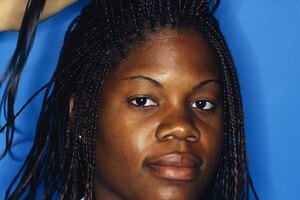 Cornrows require minimal maintenance and with proper care can last a month or more. Moisturize your cornrows daily using a moisturizing braid spray. Moisturize less frequently if your becomes waxy or too oily. Wrap your hair nightly before bed. Take one corner of the scarf into each hand. Position the front of the scarf so that it is even with the hairline and one corner hangs on each side of your head. Drape the scarf over your head so that it completely covers your braids. Take the two front corners and pull them behind the head and over the portion of scarf draped in the back of your head. Tie the two corners at the nape of the neck to secure the scarf in place. If your braids are long, gather and push them under the tied-off portion of the scarf to make sure they are also protected. Avoid handling your braids unnecessarily. Do not wet the braids between washings or attempt to comb or brush your braided hair. Frequent manipulation can cause your braids to become frizzy. Remove your cornrows within six weeks. Wearing the style any longer can result in extremely tangled hair. Wash your cornrows once a week or as needed. To wash your braids, place a stocking cap over the braids. Dilute 1 tbsp. of shampoo with 1 cup of water. Saturate the stocking cap with the mixture. Use the pads of your fingers to press the mixture through the braids and work up lather. Rinse your hair with clear water with the stocking cap still in place. Place your head directly under the stream to ensure your hair is thoroughly rinsed. Use the pads of your fingers to press down on the braids and squeeze the water through the braids. Wrap your head in a towel with the stocking cap still in place. Squeeze your hair with the towel to remove as much moisture as possible. Remove the stocking cap. Apply a leave-in conditioner spray and a braid moisturizing spray. Allow your braids to air dry. Handle your wet braids as little as possible to avoid causing frizz. Use a silk or satin scarf to wrap your hair. This will keep moisture in the hair, prevent damage and keep your braids smooth and neat. Do not wear cornrows that are too tight. If your scalp bunches, small bumps develop or you experience headaches due to the braids, your braids are too tight. Remove them immediately to avoid damage to your hair. After Taking Out Braids, How Do You Get the Dirt Out Without Breaking Your Hair Off?